Wild Utah Photos of Silver-spotted Skipper, Immatures, Epargyreus clarus clarus, collected larva on September 2006, along the Kaibab Plateau on highway 89 near Jacob Lake, Coconino County, Arizona. 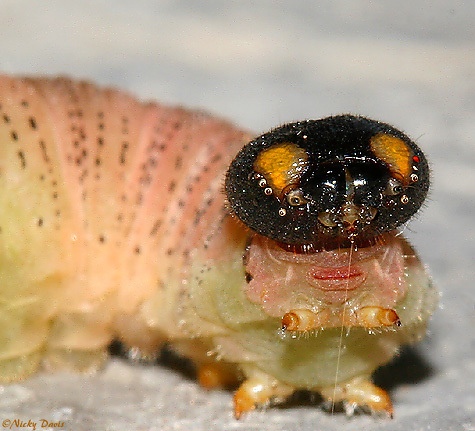 Todd Stout collected larva on September 2006, along the Kaibab Plateau on highway 89 near Jacob Lake, Coconino County, Arizona. 1., 2. Larva changed color and walked off plant looking for a place to pupate. 1. September 16, 2006 - Larva ordinarily stay in the rolled leaf nest to pupate. 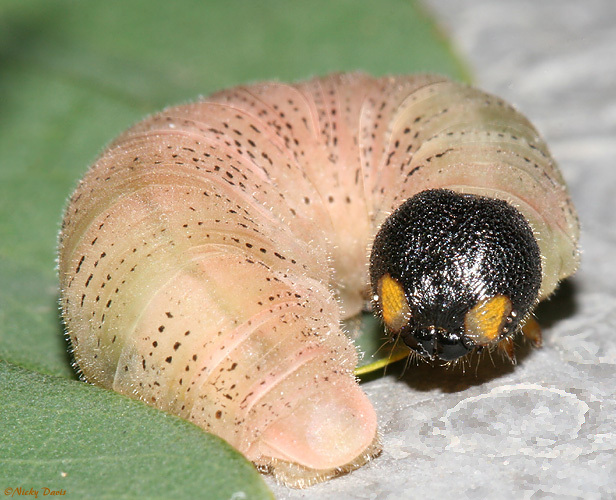 However, this one walked off the plant and had to be placed in a paper roll covered with paper tissue where it could safely nest and pupate. 2. 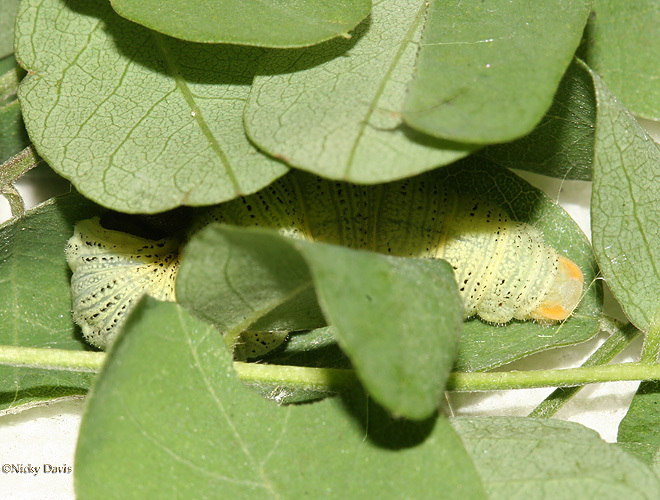 March 5, 2007 - Shows pupa on the day it was transferred from winter to spring conditions. 3. 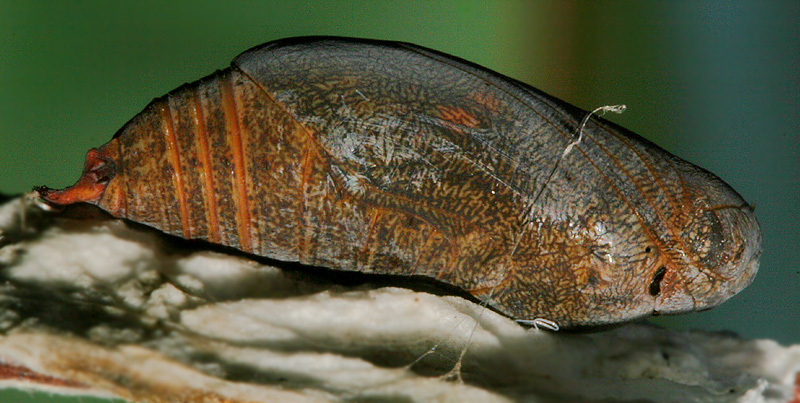 March 25, 2007 - Shows pupa darkening after 20 days of spring conditions. 4., 5., 6. 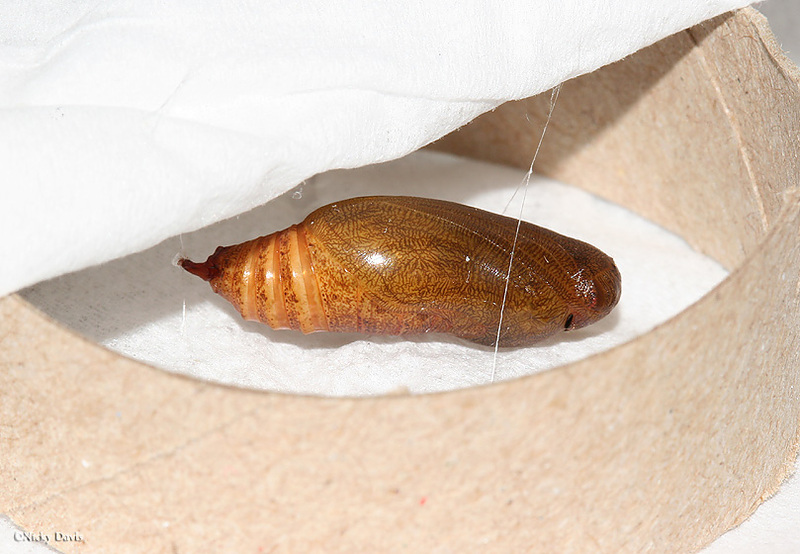 March 26, 2007 - Shows pupa development on the 26th. 7. & 8. 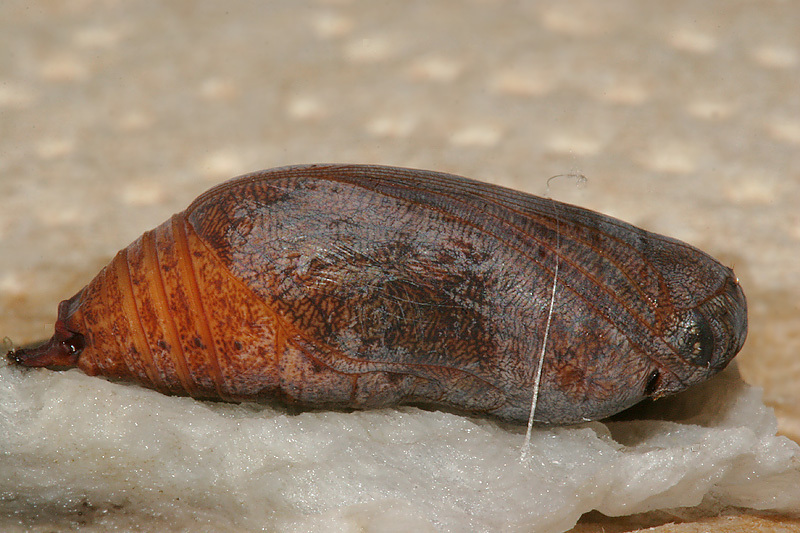 March 27, 2007 - Shows that pupa has turned very dark and the wing markings are clearly visible. Butterfly emerged March 28, 2007.